Robert Stephenson: London's Myths & Legends. In legend London was inaugurated by the fabled Trojan leader Brutus with the construction of a temple dedicated to Diana on the spot now occupied by St Paul's Cathedral. Hear about the city’s legends and founding myths, and their locations. 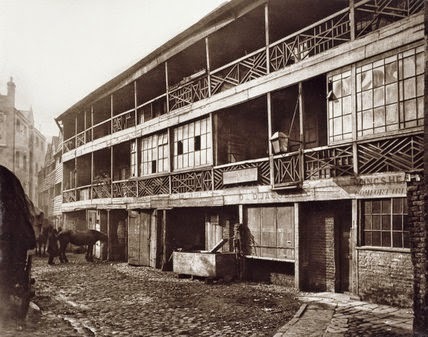 Incidentally, the interesting Ruin Lust exhibition currently on at Tate Britain includes a photo by Henry Dixon from the 1880s of King's Head Yard, where the current pub now sits off Borough High Street.